Bill Cosby gave National Enquirer interview in exchange for spiking story. Bill Cosby speaks at the 20th anniversary of Rev. Al Sharpton’s organization the National Action Network on Apr. 6, 2011 in New York City. Bill Cosby agreed to sit down with the National Enquirer in 2005 in exchange for the tabloid promising not to publish an interview with a former model who said the comedian had assaulted her in the mid-1980s. Cosby acknowledged the move under oath in 2005, according to the New York Times, which cites previously sealed court documents. 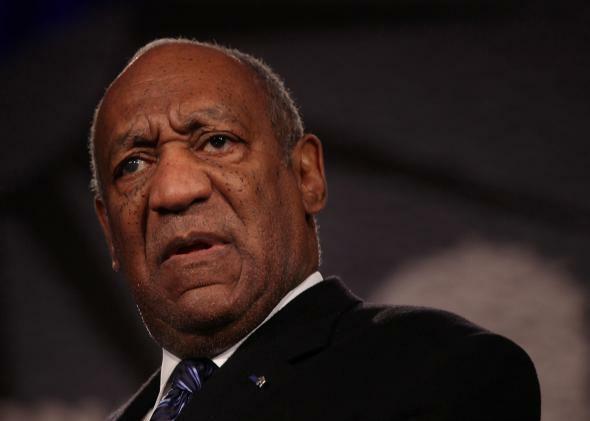 “I would give them an exclusive story, my words,” Cosby said in a deposition. In exchange, the Enquirer “would not print the story of—print Beth’s story,” the comedian allegedly added, referring to Beth Ferrier. Neither the Enquirer nor Cosby’s lawyers commented on the story. Earlier this week, the New York Post’s Page Six claimed that Cosby leaked a story about his daughter’s battle with drug and alcohol addiction to the Enquirer in exchange for the tabloid killing a story about the comedian “swinging with Sammy Davis Jr. And some showgirls in Las Vegas.” The Post’s Richard Johnson cited an unnamed former Enquirer reporter as his source for the claim.